30 pupils attended a dramatic production of Yizkor a play inspired by the heroic lives of Jews facing the suffering of the Holocaust. Pupils were also treated to an answer and questions session with the actors and author of the play. 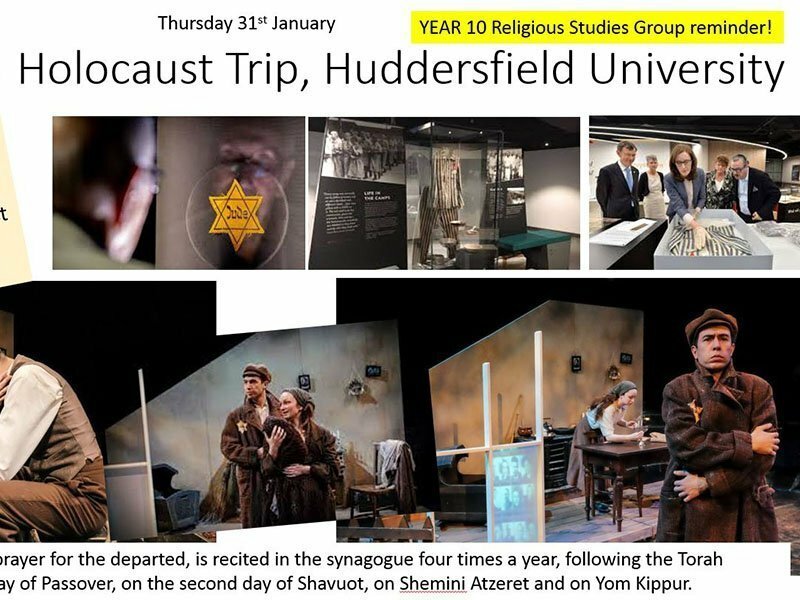 Students were also then able to investigate the Holocaust Museum recently established at Huddersfield University. It was a remarkable event attended by a fantastic group of well behaved and attentive students. The students themselves gained a huge knowledge and understanding of such a terrible moment in our history and were inspired to speak out against injustice and intolerance wherever they may find it.